Airbnbs in the city average between €58 and €79 per night, so what’s worth it and what’s not? Renting an Airbnb is a great accommodation option if you want something more homey and personal than a typical hotel. There are plenty of offers in Lyon, but there’s also a varying range of prices and locations. Which locations are really worth the price? Lyon has a wide range of Airbnbs that allow travelers to experience real French apartment life while exploring the city’s treasures. But as with all things, sometimes it’s worth it and sometimes it’s not. 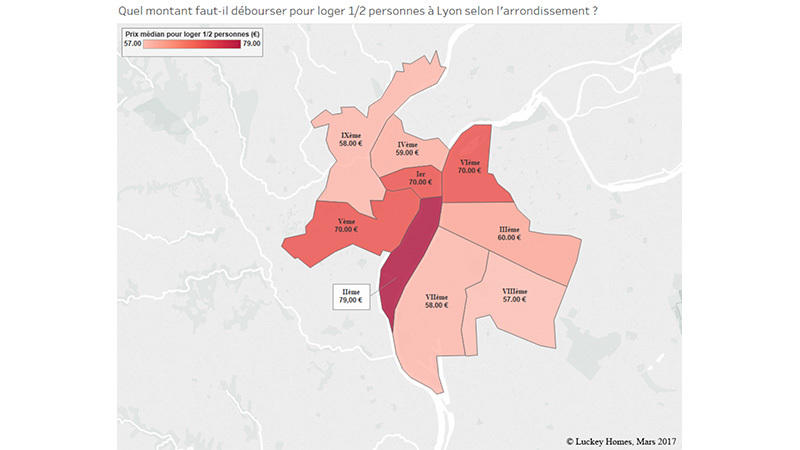 Lyon’s nine arrondissements all have different price points and convenience to take into account when you’re weighing your options. The city also ranks as the second most expensive in France for Airbnbs, behind Paris of course, according to Luckey Homes, a company that runs studies for people looking to rent their homes on Airbnb. In a comparison of 2-person accommodation in Paris, Lyon, Marseille, and Bordeaux, Lyon stacked up second, especially in the popular 2nd arrondissement where prices can creep upwards of €79 per night. But that doesn’t mean you should cross Airbnb off your list of options for a great stay in Lyon. There are plenty of ways to make the city’s market work for you and kick back in the French apartment of your dreams. The city center on the Presqu’île is one of the most sought-after areas for tourists, which also makes it one of the most pricey areas. 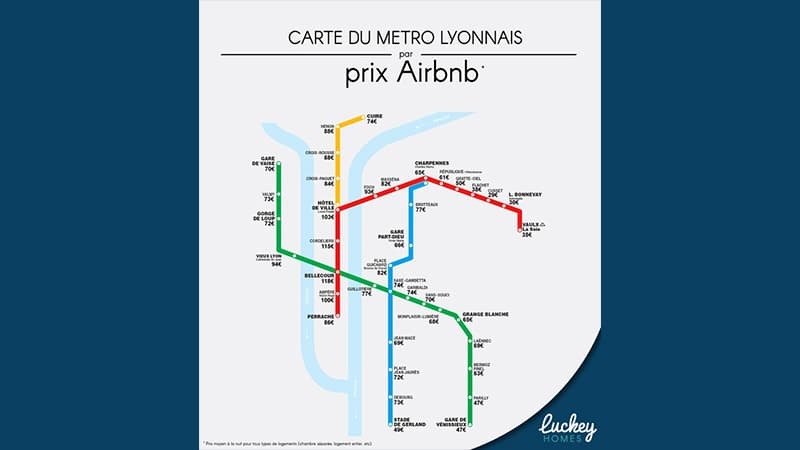 Lyon 2 is the most expensive at an average of €79 per night, while the first, fifth, and sixth all came in slightly lower at €70 and are just as central. If you really want to be in the 2nd, try Ampère instead of Bellecour. Bellecour is what contributes to the high prices, and Ampère is just as central but slightly less expensive at €100 to Bellecour’s €118. Meanwhile, Foch in the 6th right across the bridge from the Lyon Opera came in as a surprisingly good place to rent. It’s the second most expensive area for real estate, but when it comes to Airbnb it’s a great place to get a gorgeous flat close to the city center. Prices average €93 a night, significantly less than the Presqu’île and just a short walk away. For smaller budgets, outlying districts are definitely the way to go, though some are more convenient than others. Lyon 7 averages way cheaper than the city center at €58 per night, and most flats will be within walking distance of the Rhône and Presqu’île. The fourth arrondissement is an equally good choice, especially the areas around Croix-Paquet and Croix-Rousse. These quarters sit on the hill above the Presqu’île and are a bit removed from crazy city life but still just as central. They come in at €84 and €88 per night respectively. There are also some places in Lyon where we wouldn’t recommend renting, even if the price might be good. Neighborhoods at the end of the metro lines tend to have lower prices, but might not always be worth it depending on your lifestyle. The last metros and trams of the night run at 12:30 a.m., so be aware that you might be walking or Uber-ing home if you like to stay out late. Speaking of the outer districts, while Lyon 9 comes in at an affordable €58 the upper areas of it aren’t worth the cheap price. Past the metro at Vaise the only public transport options for getting further up the river are buses, so it’s worth spending a few euros more to get yourself closer into the city or at least on the southern side of the ninth. As for the 5th arrondissement, it has a pretty cheap price tag at an average of €70 per night, but the convenience really depends on where you are. The 5th is split by the big hill leading to Fourvière and St-Just, and while being in Vieux Lyon is extremely central, get too far up the hill and it suddenly becomes a lot less convenient. Rentals up the hill might have incredible views, but it’s also worth taking a look at the similarly priced Lyon 1 or 6 if you want to have easy access to your rental throughout the day. Within the city center, the streets of Vieux Lyon get noisy at night and stay that way all weekend, so are best for people who like to party as opposed to families who turn in early. Rue St-Catherine in the first is another one to be wary of; it has a reputation as the rowdiest party street in the city. 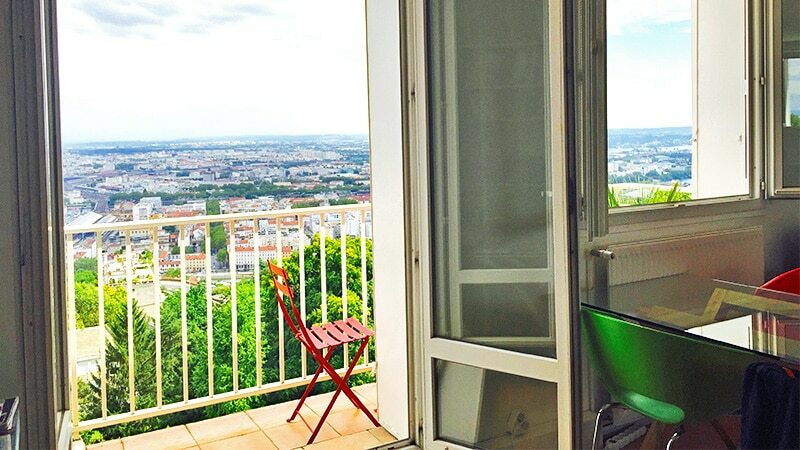 Lyon certainly offers a good range for visitors looking to Airbnb their way through a trip. Keep an eye on the price compared to the location and you’re well on your way to a comfortable stay that offers exactly the lifestyle you’re looking for.